Today, at SIGNAL we announced Twilio IP Messaging. Twilio IP Messaging allows developers to embed advanced person-to-person chat in mobile apps, SaaS products, and websites. So many conversations start with an instant message. It works for doing everything from gathering friends for a night out, to collaborating with coworkers on the latest project. Now, chat can be an embedded and contextual experience in any software application. 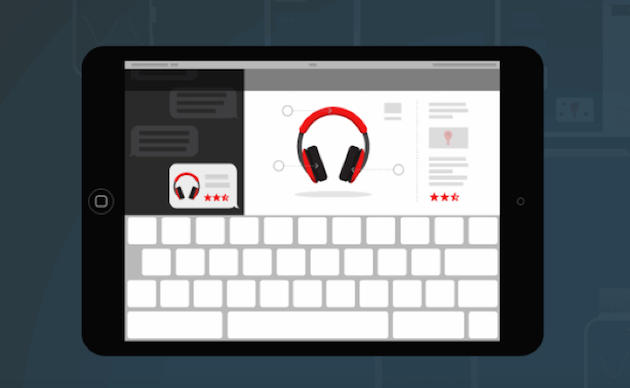 With Twilio IP Messaging, developers can rely on Twilio for all their communications. Our suite of offerings now includes voice, video, and messaging for carrier-based services, like PSTN and SMS, as well as IP-based services that embedded directly into the app. Embedded chat provides a better user experience because it maintains context that’s critical to the conversation. If several people are using an app together, and want to communicate about it, what do they do? One option is for them to leave the app and then use a separate, siloed messaging solution, but using standalone messaging fragments that communal experience. At best, users have to copy and paste information between applications to share their experience with the group. At worst, they forget about the app altogether because they are distracted by the loss of context. Embedded messaging allows users to chat in-app, about the content they care about, in the moment they care about it. Interactions can take place in real time, or asynchronously, so that users can also consume chat messages at a time when they are most likely to want to receive them – when they are in-app. Linking conversations to the situation in which they arise provides a richer experience than stand-alone chat. Embedded messaging gains additional layer of context when it is tightly integrated with the application itself with access to underlying data. Building a chat interface on top of the IP Messaging APIs unlocks new user experiences that were previously out of reach. For example, imagine being on a webpage shopping for a pair of headphones. You are talking with a sales agent using an embedded chat box, and you drag and drop the headphones into the box. On the other end, instead of receiving a simple image file, the agent receives a rich data object. The object contains not only an image of the headphones, but also a SKU, inventory numbers, specials offers, and list of products that would likely compliment the headphones. The agent can now better serve you by sharing customized product recommendations and discounts. Although embedded chat offers a richer experience, building a custom messaging infrastructure is a challenging proposition. First, you have to build an evented publish and subscribe (pub/sub) system in order to send and receive messages. Building pub/sub systems is simple, but doing so at scale with a system that can handle a high traffic load and maintain speedy responsiveness is difficult. Additionally, developers need to build and maintain storage systems in order to provide message persistence. With IP Messaging, Twilio provides a resilient cloud infrastructure so that messages are delivered reliably and securely. Your data is available whenever you need it, across user accounts and devices.